Actor Peter Stormare is standing in for Ice-T, Chrissy Teigen, and Kyrie Irving on the photo-sharing platform. NEW YORK: Celebrities can sit back, relax, and binge on hours of Call of Duty: Black Ops III Awakening thanks to The Replacer, who has generously taken over their Instagram feeds this week. 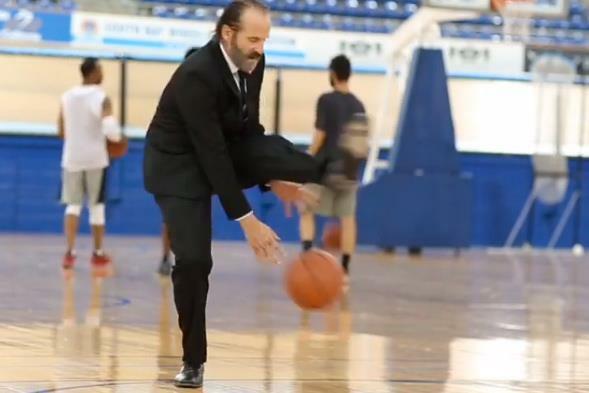 The Activision game’s fictional spokesman, played by actor Peter Stormare, is commandeering the Instagram accounts of several famous names, including rapper and actor Ice-T and his wife Coco, model Chrissy Teigen, and basketball start Kyrie Irving. The social media push promotes the game’s new downloadable content, made available this week for PlayStation 4. Instagram was the platform of choice for game maker Activision and its agencies, 72andSunny and AKQA, because fans of the game "spend exponentially more time" there, explained Nick Strada, group creative director at AKQA. "The celebrities and influencers we work with are always somehow connected to the Call of Duty franchise, be it players or fans of the game," he added. "But it was a combination of that and their ‘Insta–fame,’ including their reach and fan engagement, that led us to these folks." The campaign for Call of Duty: Black Ops III began last week with a four-minute online video that shows The Replacer taking over people's everyday tasks, like meeting parents, walking the dogs, or even strutting down the runway. The need for a Replacer isn’t that much of a stretch. Fans reportedly spent 75 million hours online playing Call of Duty: Black Ops III the first weekend it was released last November and the game racked up $550 million in worldwide sales. Stormare made his debut as The Replacer in January 2013 to promote the release of Call of Duty: Black Ops II's DLC. "The Replacer hasn’t been around in a few years. Since we last saw him, the Internet landscape has changed," said Strada. "Since DLC1 is out now, we have a feeling The Replacer may be busy for the next few weeks."